ECUPROGRAM is proud to announce that our shop is equipped with the latest and the best Hunter tire changers and laser balancers. The World's #1 Wheel Balancer! The GSP9700 Vibration Control System used by ECUPROGRAMtm's service specialists to finish Tire & Wheel Packages goes far beyond the traditional capabilities of a wheel balancer. 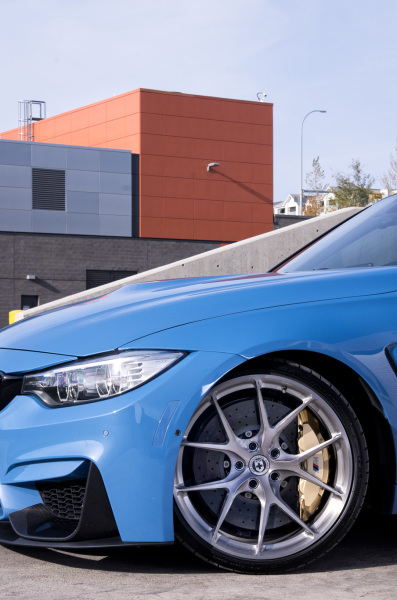 In addition to rectifying the inevitable wheel and tire imbalance, the GSP9700 Vibration Control System also "road tests" the mounted assembly to confirm virtually every aspect of a tire and wheel combination that might contribute to a vibration. Specially designed for low profile tires; Aston Martin, Audi, Bentley, BMW, Ferrari, Lamborghini, Land Rover, Mercedes Benz, and all other exotic and sport cars trust Hunter Auto34. The Auto34 is considered the most advanced leverless tire changer in the world and services up to 34 inches wheels. In order to assure customer satisfaction, Tire & Wheel Packages purchased at ECUPROGRAM are tested before shipment at no additional charge to our consumers using the Hunter Engineering GSP9700 Vibration Control System to evaluate and eliminate nearly all possible wheel- and tire-related vibration causes.